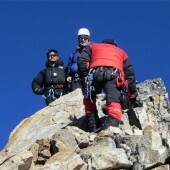 Yala Peak climbing is an easy peak climb that does not require a climbing permit. 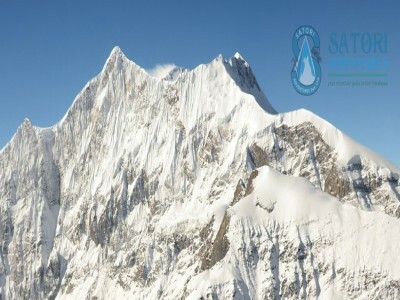 Yala Peak (5732m/ 18,790ft) is located in the Langtang region of Nepal and classed in difficulty as grade facile/easy on the alpine grading system. The peak is seldom climbed, when it is climbed, it is being used as a warm-up for Naya Kanga on the opposite side of the Kyanjin Gompa Valley. 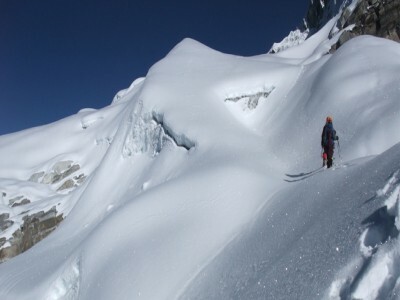 Yala Peak is an excellent beginner climb and should be your first peak if you are new to the Himalayan scene. 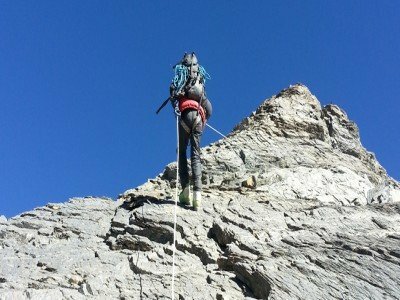 Yala peak is the perfect peak to learn proper techniques with an ice ax, crampons, how to ascend/descend fixed ropes and perform crevasse rescue. 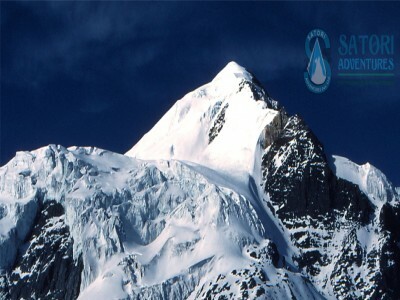 Yala peak climbing is a relatively simple and non-technical climb. 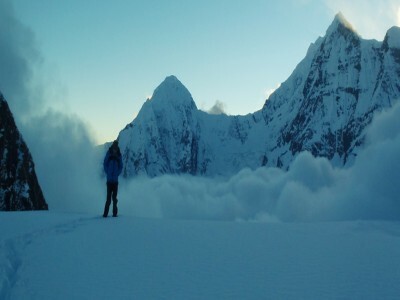 The peak is located at 28°14'24''N and 85°37'32''E which is next to Ruswa. Spring and autumn are the best seasons for Yala peak climbing, this includes the months of: April, May, September, October and November. 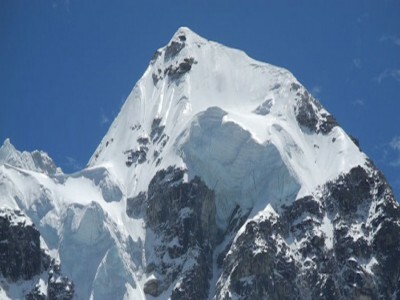 However, this peak can also be climbed in the winter. 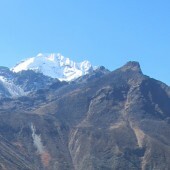 The Yala summit is renowned for being an excellent vantage point from which Shishapangma(8013m) can be seen. 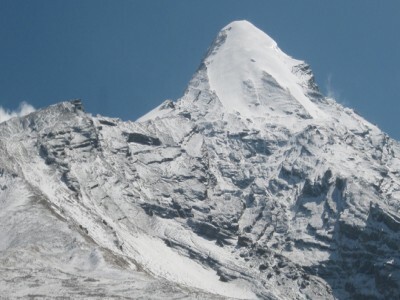 Shishapangma is the highest holy mountain in Tibet, it is also the lowest of the 14 eight-thousand mountain. The approach to Yala peak winds its way through farmlands, villages, forest and rivers. During your trek you will pass by beautiful forests of rhododendron, pines, bamboo and several species of rare flowers. 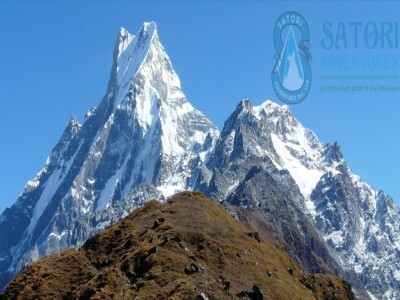 After passing this majestic scenery you will then join the narrow gorge of the Langtang River, immediately following that you will ascend to the large alpine grassland of Langtang (3500M/11,483ft) and Kyanjin Gumba (3800m/12,467ft.) it is at this point that the glacier meets the meadow. From this vantage point you can see Yaks grazing, in the backdrop is the snowy peaks of Langtang Ri, Langtang Lirung, Dorjee Lakpa and many other climbed and unnamed mountains. During the trek up to Yala peak you are able to explore the Langtang National Park which is home to several groups of Tamangs. 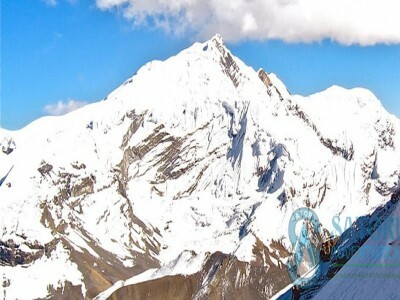 After acclimatizing at Tserko-re and exploring the glacier, you will hike to the Base Camp (4800m/15,748ft)from the base camp you will have stunning views of many beautiful peaks including: Lantang Lirung (7246m/23,772ft), Lenpo Gang 7083m/23,238ft) and Dorje Lakpa (6990m/22,933ft). 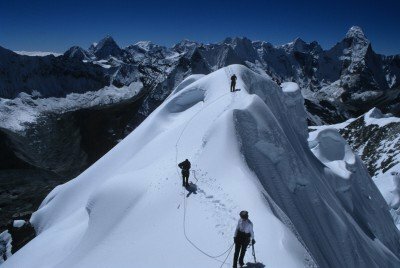 The climbing consists of simple scrambling with on a 25º slope, 180m of snow climbing on a 35-40º slope and 650m of climbing on the summit day. 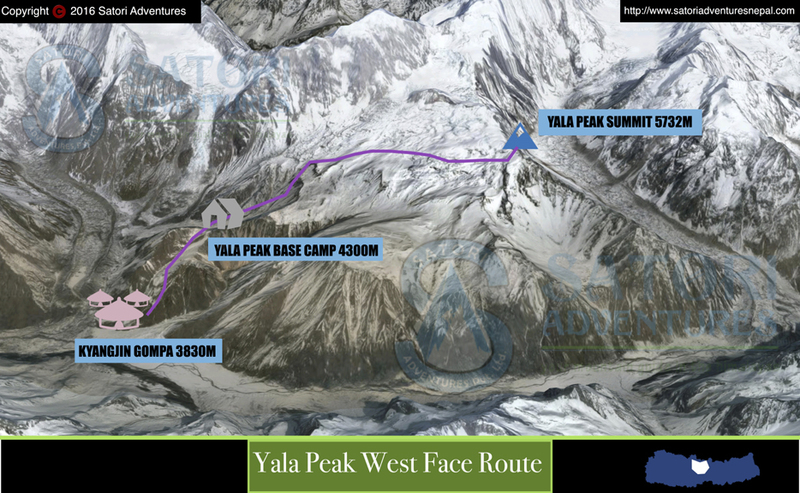 Yala Peaksclimbing route is 732m of elevation gain consisting of non technical scrambles and virtually no objective hazard. 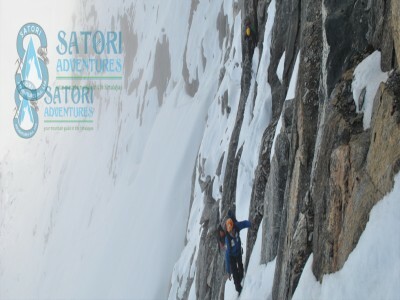 Satori will fix ropes on any section of the route that has any hazards. 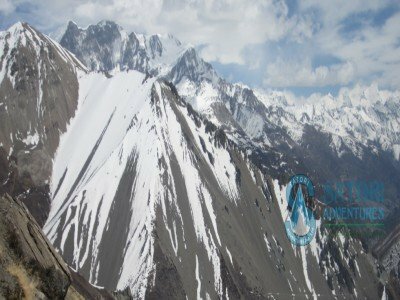 This peak is perfect for any trekkers who have no experience with mountaineering and want to add a little spice to their trekking itinerary in the Langtang region. 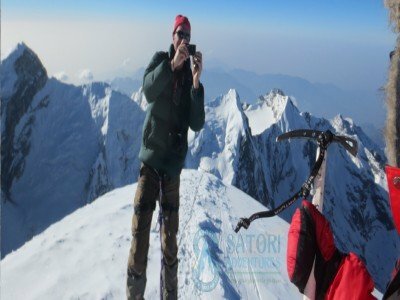 Satori Adventures offers full board services for Yala peak, this includes experienced and professional trekking and climbing Sherpa guides, proper maps of the trekking and climbing route, high altitude food, cooked freshly by our experienced expedition chefs. National park entry permit and TIMS also included. 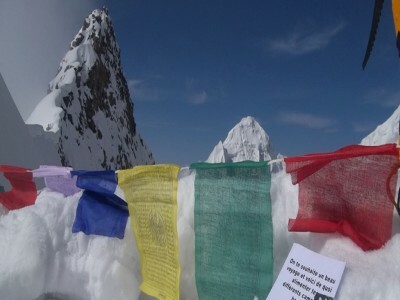 The government of Nepal does not require a royalty fee or trekking permit for this peak. 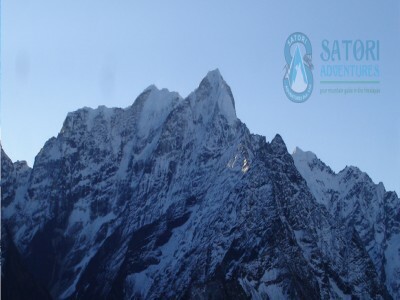 Satori Adventures will arrange your service form upon arrival in Kathmandu. 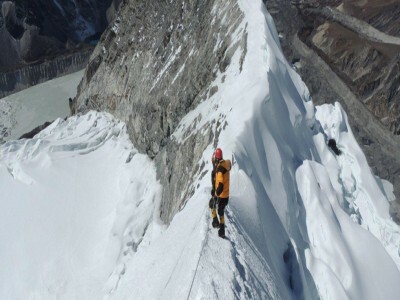 Yala peak climbing is suitable for those trekkers and climbers who want to stand on a Himalayan summit, have a limited amount of time and are less experienced in the world of mountaineering. 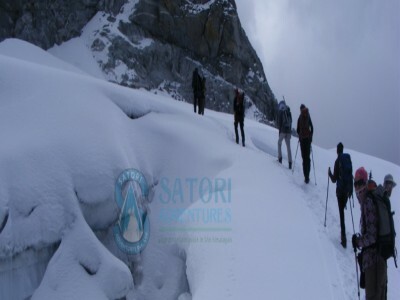 Satori Adventures offers special training courses that will teach you the fundamentals of Himalayan Mountaineering. The company always wants to make sure that our clients have a safe and successful climbing experience with us. 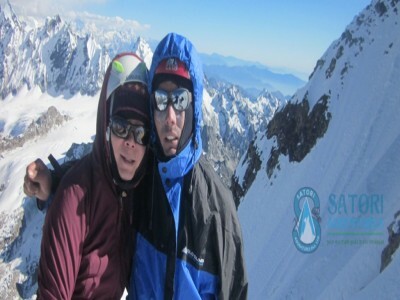 A great and enjoyable trip during your trekking and climbing period can bring a lot of personal satisfaction and joy into the life. 18 Oct/Day 02: Preparation and briefings at the departments of tourism. Last minute shopping. 19 Oct/Day 03: Drive from Kathmandu to Syabrubesi (1503m/4931ft, 08hrs) via Trishuli, Lodge accommodation. 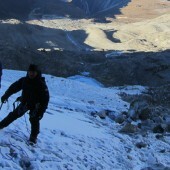 20 Oct/Day 04: Trek from Syabrubesi to Lama Hotel (2410m/7907ft, 07hrs) Lodge accommodation. 21 Oct/Day 05:Trek from Lama Hotel to Langtang(3430m/11250ft, 05hrs) Lodge accommodation. 23 Oct/Day 07: Rest day for acclimatization at Kyanjin Gompa. 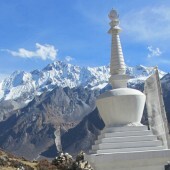 visit monastery and the cheese factory, walk up glaciers of Langtang Lirung or ascend Kyangjin Ri (4350m/14272ft, 04hrs.) behind the village for a breathtaking panorama of the Langtang peaks; tea house accommodation. 24 Oct/Day 08: Trek from Kyanjin Gumba to Yala Peak Base Camp (4300m/14104ft, 05hrs); Camping. 25 Oct/Day 09: Summit to Yala Peak 6hrs and return to base camp (4800m/15748ft, 12hrs). 26 Oct/Day 10: Trek from Yala Base Camp to Kyanjin Gumba(3830m/12566ft, 04hrs); Lodge accommodation. 28 Oct/Day 12: Trek from Lama Hotel to Syburbesi(1503m/4931ft, 05hrs).Lodge accommodation. 29 Oct/Day 13: Drive from Sybrubesi to Kathmandu takes about 06-07 hrs Farewell dinners with culture program In the Evening. Hrs overnight at Hotel. 30 Oct/Day 14: Drop to airport for final departure, or alternatively join other programs. 16 March/Day 02: Preparation and briefings at the departments of tourism. Last minute shopping. 17 March/Day 03: Drive from Kathmandu to Syabrubesi (1503m/4931ft, 08hrs) via Trishuli, Lodge accommodation. 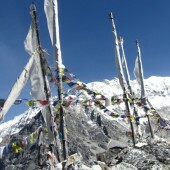 18 March/Day 04: Trek from Syabrubesi to Lama Hotel (2410m/7907ft, 07hrs) Lodge accommodation. 19 March/Day 05:Trek from Lama Hotel to Langtang(3430m/11250ft, 05hrs) Lodge accommodation. 20 March/Day 06:Trek from Lantang to Kyanjin Gompa (3830m/12563ft, 06hrs); Tea house accommodation. 21 March/Day 07: Rest day for acclimatization at Kyanjin Gompa. visit monastery and the cheese factory, walk up glaciers of Langtang Lirung or ascend Kyangjin Ri (4350m/14272ft, 04hrs.) behind the village for a breathtaking panorama of the Langtang peaks; tea house accommodation. 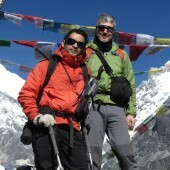 22 March/Day 08: Trek from Kyanjin Gumba to Yala Peak Base Camp (4300m/14104ft, 05hrs); Camping. 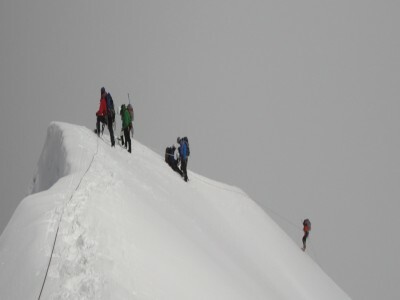 23 March/Day 09: Summit to Yala Peak 6hrs and return to base camp (4800m/15748ft, 12hrs). 24 March/Day 10: Trek from Yala Base Camp to Kyanjin Gumba(3830m/12566ft, 04hrs); Lodge accommodation. 26 March/Day 12: Trek from Lama Hotel to Syburbesi(1503m/4931ft, 05hrs).Lodge accommodation. 27 March/Day 13: Drive from Sybrubesi to Kathmandu takes about 06-07 hrs Farewell dinners with culture program In the Evening. Hrs overnight at Hotel. 28 March/Day 14: Drop to airport for final departure, or alternatively join other programs. 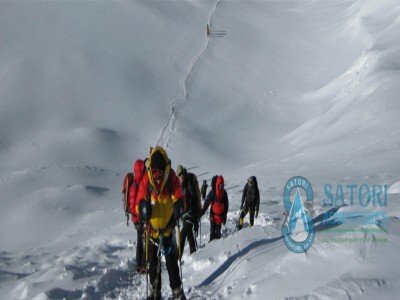 Expedition royalty and climbing permit of Nepal government to climb Yala Peak.